In today’s changing financial services industry landscape, there are new and challenging reasons why providers and banks should be aware of the competition and put their best foot forward. These include new regulations and increased customer demands, especially when it comes to digital banking. In order to have a leg up over the competition, financial service institutions should approach these challenges as opportunities head on with strategic focus, open source, and agile integration. 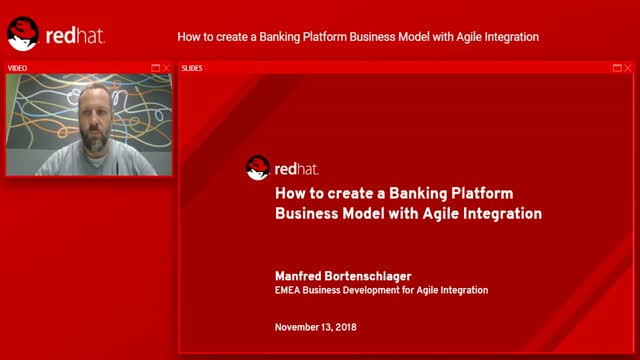 In this talk we address how the principles of Agile Integration can be applied to build a programmable bank and leverage the banking platform business model.